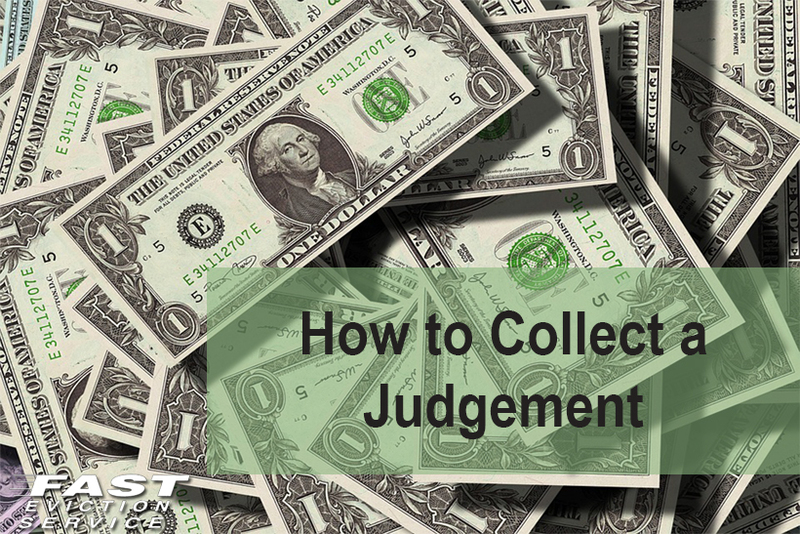 When looking to collect a judgement, the first step is to actually have a judge say that the debtor owes you money. In order to begin your collection process, you need to go to court. Not only do you need to attend, but you need to win the case. In most cases, the debtor will do everything necessary to avoid paying you. Sometimes, they may even countersue! This can be a very stressful process. But in order to win, make sure you are prepared physically and mentally. You need to have solid evidence that the debtor owes you money. This evidence could be a contract, a witness admission, or even camera footage if the debtor did damage to your property. It is your job to gather as much evidence as possible. It is the job of the judge to determine the truth of your statement and the statement of that you are accusing. It is important to remember in court to be 100% honest. A judge deals with dishonest people all the time and they know when someone is telling the truth. They also know how to ask tough questions to find out if you are truly telling the truth. The only way to be prepared for these is to be 100% honest upfront. If the judge rules that you are owed money, then the collection process begins. In most cases, it is your job to collect the amount owed. Depending on the court, you may begin to collect immediately or within a certain amount of time. Each court can be different, so be sure to check with the collection office to see when you can begin the collection process. Since it is a crime not to pay the judgement, the debtor will in most cases pay. However, it can take some time and it can be a hard process for you. Most courts have a collection aid who can assist you with this tedious process and help with various methods of collection. However, it is up to you to start the collection process. The court will not do this for you. You are in charge of making sure that you get paid. If you do nothing, you will receive nothing. This is very important to remember. However, once the process does begin it does get easier. When you start pushing for your collection, there are different ways that the court can collect the money owed to you by the debtor. The first method of collection if not paid by will is garnishing wages. This is where the court will take money out of the debtors bank account or paycheck until you are paid in full. There are also inquiries sent by the court to find out about the debtors job and assets. This can help determine if they are financially able to pay your bill. If not, there are still other methods of collection. There could be a lien put on a property or valuable asset. A lien is a legal document that states that if that property sells, you will get paid first. Collection can take some time, but it will happen. If you are still unable to get your money after a certain period of time, you can hire a judgement collection agency. Some agencies will even pay you a smaller percentage right away and collect the full judgement for themselves later. This should always be a last resort because you will not get the full amount. As you can see, there are many different methods of getting paid by the debtor. So do not worry if you are not paid willingly! The court can help you get what you are owed, but it is up to you to start the process.